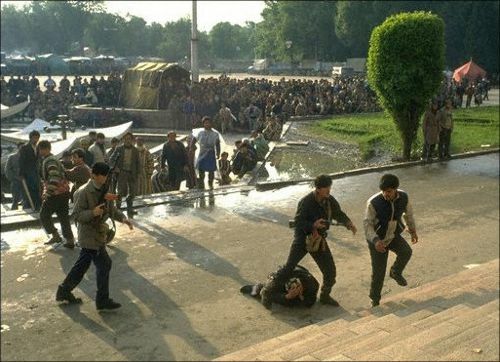 On February 12 it has been twenty years since the Dushanbe tragedy when dozens of people were killed and hundreds were injured in the dispersal of the opposition forces in the Tajik capital. The bloody drama in Dushanbe is similar to Tbilisi-1989, Baku-1990, and Vilnius-1991 that accompanied the collapse of USSR. On the other hand, this tragedy became the prologue of bloody conflict that killed hundreds of thousands people. The unhealthy communism collapse in Dushanbe is undoubtedly reasoned by the complex ethnic and social conditions that distinguished Tajikistan from other Central Asian republics. At the end of Soviet era in Tajikistan the new players (first of all from the southern regions) emerged in the political arena that demanded "the redistribution of roles". This led to the political opposition between "communists" on one side and "democrats", "Islamists" on the other side. Considering the economic problems in the beginning of 1990 people were discontent with governmental policy. Moreover, the situation was deteriorated by mass resettlement of 2-3 Armenian refugees to Tajikistan. Allegedly, Armenian refugees demanded the new apartments in Dushanbe that were allocated to Tajik citizens. On February 11, the thousands of Tajiks attended mass meetings and protests. It has to be mentioned that Tajik opposition leaders immediately rejected the idea of "anti-Armenian" or "nationalistic" nature of February events. The opposition forces underlined the fact that their main requirement was the resignation of the national government. After the official government ignored mass protests at the Lenin square on February 11 the demonstrators engaged in the fights with police with the use of cold arms and tear gas. Later on police opened fire on the protesters. By the night of February 13 the government brought tanks and military units (about 5000 soldiers). On February 14 the Communist party managed to stop the uprising. The official sources reported 22 killed and 565 injured victims. Nearly the half of injured people was the group ethnic Russians. Later on the Lenin’s square was renamed to Shakhidon square – the square of innocent victims. In September of 1991 the Republic of Tajikistan announced its sovereign status while the new presidential elections took place on November 24. The main candidates were Rakhmon Nabiev, the head of the communist party in 1982-86, and Davlat Khudonazarov, nominated by the opposition forces. The elections were accompanied by violations and falsifications, reported by the observers. 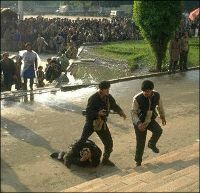 Since spring of 1992 the opposition launched open-ended protests in Dushanbe. However, in May of 1992 under the mediation of intelligentsia and Russian 201th military division Rakhmon Nabiev and the opposition leaders signed peaceful agreement and established the coalition government. However, this did not stop the violence. In August severe clashes led to full-scale civil war. There were two radical groups, opposing each other: "vovchiks" and "yurchiks". The first group (derivative of "Wahabee") was formed by radical Islamists; later on, this "term" was applied to United Tajik Opposition (UTO) members. 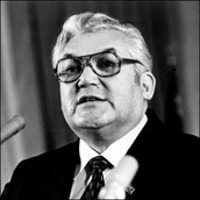 "Yurchiks" (derivative of Russian name Yuri) were represented by the followers of communist ideas and Yuri Andropov. As a result, Tajikistan was split into several parts. On September 7, 1992 President Nabiev was forced to move to his home town of Khujand where he died under strange circumstances. The new government was unable to control the situation that produced legal disorder in Dushanbe. Shortly after the National Front forces attacked Dushanbe. They were supported by Uzbekistan and Russia (201th military division). 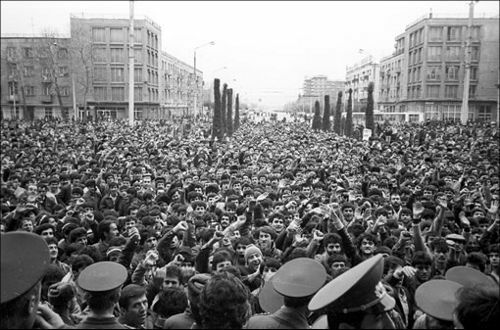 On December 5 National Front took over Dushanbe. Meanwhile, despite continuing civil war, Emomali Rakhmonov successful won the presidential rally. However, by the summer of 1993 the republic was still split into two parts on both sides of the Vakhsh River. The period of massive battles was over. In 1993 Russian and Iran were the mediators in the peaceful negotiations in Tajikistan. Nevertheless, the political regulation became possible only when the military campaign had faced deadlock situation after killing 150 thousand people and producing over a million of refugees. Moreover, almost all ethnic Russians and other non-titular ethnic groups left Tajikistan. In these conditions, the opposing parties realized that military campaign was not contributing to the achievement of political results any more. On the other hand, people were tired of war, poverty and uncertainty. On June 27, 1997 the warring parties finally signed the peace agreement. Emomali Rakhmonov remained in power, but the opposition parties gained seats in the parliament, administrative and managing positions in the big companies while the opposition soldiers joined regular army. Having bases in Afghanistan, small groups of Islamists did not sign the agreement and continued the war. According to some sources, even in 2009 Mullo Abdullo was still controlling the number of hard-to-reach areas of the republic. Overall, the current stability is quite weak since regional and clan factor in Tajikistan that overcompensated religious and ethnic division is still present.